This 3 bedroom, 2 bathroom home features a split floor plan, real wood cabinets with quiet-close technology, granite countertops, stainless steel appliances and separate living and family rooms with an inside utility room. The 2 car garage is spacious and has built-in cabinets and work bench. This home has a newer AC, the yard has mature exotic landscaping and enough space in the back for a pool in the future. 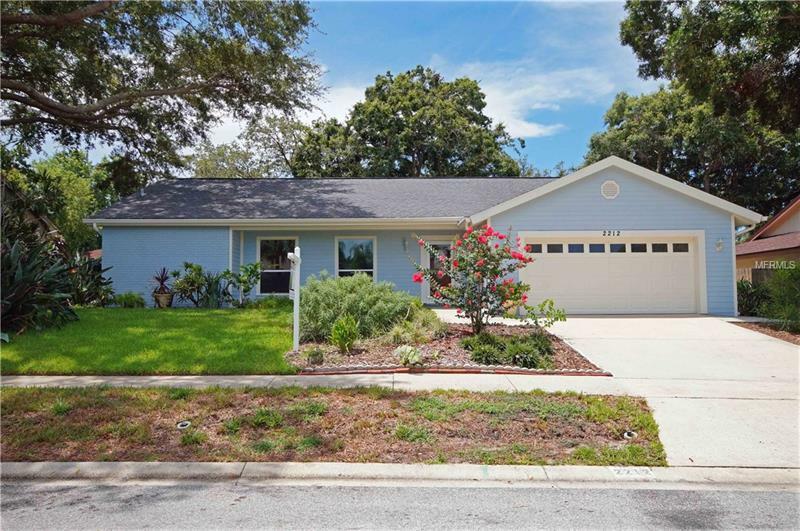 The area is top-notch and is zoned for Palm Harbor's best schools. Near by is US Highway 19 which can get you anywhere in a jiffy. St. Petersburg and Tampa are just 25 minutes away, and many beautiful Bay Area beaches are within 10 minutes drive. Within walking distance to restaurants and shopping. Hurry and schedule your showing today, it won't last long!